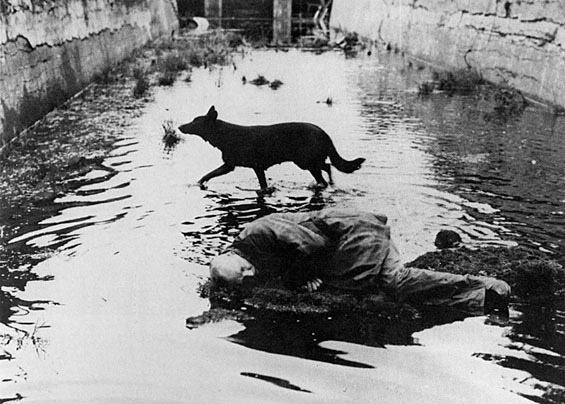 [Andrei Tarkovsky’s 1979 movie] “Stalker” is a film about a zone, a prohibited space where there are debris, remainders of aliens visiting us. And stalkers are people who specialized in smuggling foreigners who want to visit into this space where you get many magical objects. But the main among them is the room in the middle of this space, where it is claimed your desires will be realized…. [But] there is nothing specific about the zone. It’s purely a place where a certain limit is set. You set a limit, you put a certain zone off-limit, and although things remain exactly the way they were, it’s perceived as another place. Precisely as the place onto which you can project your beliefs, your fears,things from your inner space. In other words, the zone is ultimately the very whiteness of the cinematic screen.